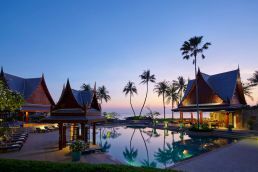 Guests are invited to escape tension-causing routines and release their minds and bodies to discover true inner peace with a 10 or 14-night Speciality Retreat focusing on Tension Release at this renowned Thai health and wellness resort. The tailored experience is designed to help guests who suffer from high blood pressure to regain a restorative balance in life. Through nutritional consultation, the Tension Release retreat will introduce guests to simple steps to assist in controlling salt intake, maintaining a healthy weight and the appropriate use of dietary supplements that can help support cardiovascular health. Guests can also participate in Chiva-Som’s personalised fitness activities designed to enhance energy and reduce weakness and fatigue, providing a complete path towards tension release. 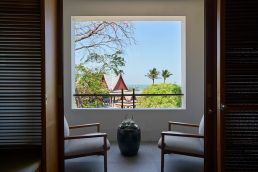 Chiva-Som is situated within seven acres of tropical gardens in the Royal city of Hua Hin on the Gulf of Thailand, 185 km south of Bangkok. 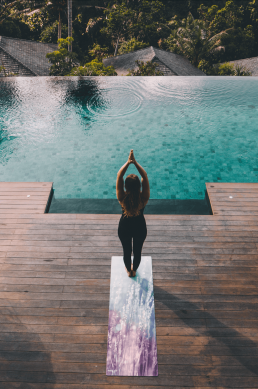 The resort remains a popular destination for Australians offering guests a total lifestyle transformation to achieve wellness and longevity with a full range of health and wellness Speciality Retreats, integrating naturopathic and conventional medicines. Chiva-Som provides a Haven of Life for guests seeking health and wellness. Programs are founded upon six wellness modalities: Spa, Fitness, Physiotherapy, Holistic Health, Nutrition and Aesthetic Beauty, offering guests the empowerment to fulfil their goals. All components are set and overseen by expert health professionals including consulting doctors, naturopaths, fitness instructors, spa therapists, nutritionists and alternative health practitioners. For bookings of the Chiva-Som Tension Release retreat contact your travel agent or a Chiva-Som Specialist on 1300 857 037. 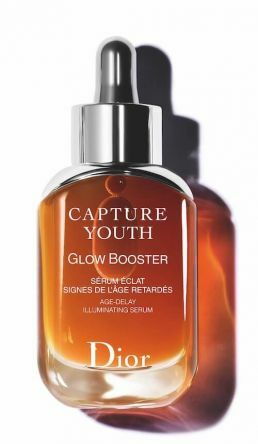 With Cara Delevingne and Capture Youth, the house of Dior is shaking up the world of skincare. With her azure-blue eyes and lithesome body, she breathes her rebellious sensuality and incredible energy into the visual work of new yorker, Cass Bird. 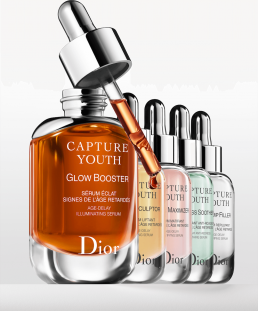 Intense and free, she embodies the values of a new skincare line, which, like her, has decided that everything depends on the here and now. 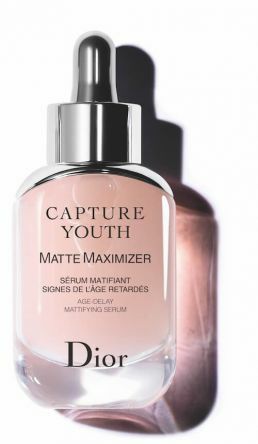 Designed for ultra-connected women in their thirties, the Dior Capture Youth revolution proposes a protocol with a creme and 5 serums to anticipate the signs of aging before they appear. Finally, a unique program inspired by predictive medicine that delivers action before it is too late. The British star has a magnetic presence in this offbeat, fast-paced advertising film. She speaks to us with conviction in her gorgeous, husky voice as the song “I am woman” by Jordin Sparks plays in the background. Australia’s golden girl and surfing heavyweight, Sally Fitzgibbons has today unveiled her first, much anticipated ‘Be a True Force of Nature’ campaign for iconic beauty brand Burt’s Bees, with a national roll out across digital now live. The leading natural skincare brand and the champion of surf and natural living, represent the perfect unison of two true forces of nature. Directed by Mike Calvino, the ad was shot over 2 days in Sally’s home town on the South Coast of Gerroa. In heading back to the place where her surfing journey began and where she chooses to spend most of her downtime, the setting reflects Sally’s personality as well as her love for the ocean; a true natural beauty which is the heart of Burt’s Bees. The cinematography captures Sally during first and last light over the water, showcasing rich natural colours. The beautifully shot content gives an insight into Sally’s inspirational lifestyle and portrays the iconic Australian outdoor lifestyle. Sally, who has always been drawn to the power of the ocean and was chasing the World Championship title in Hawaii, is the epitome of women’s health and her new role truly reflects this. “Immersed in nature with no distractions is such a pure experience. I love the simplicity of nature, just like I love Burt’s Bees. It’s all natural, and it keeps my lips protected in all conditions. Being surrounded by water is when I feel like a true force of nature,” said Sally. Burt’s Bees Marketing Director, Joy Delis said Sally is a leading icon for women and healthy, natural living. “Sally’s drive, courage and connection to nature make her perfect to tell the Burt’s Bees ‘Be a True Force of Nature’ story,” Delis said. One of Sally’s favourite products in the range is the new Burt’s Bees All-Weather SPF15 Lip Balm, which she showcases in the campaign. “Whether I’m surfing, jogging or doing yoga on the beach, lip sunscreen is vital.” said Sally. The Burt’s Bees All-Weather SPF 15 Lip Balm is formulated with Zinc Oxide which is a physical, mineral-based sunscreen that reflects UV rays naturally. The balm’s formula moisturises lips with nourishing ingredients Beeswax, Meadowfoam Oil, Cocoa Seed Butter and Olive Fruit Oil. Unlike some natural SPF formulas that can produce an uncomfortable white cast on the lips, Burt’s Bees All-Weather SPF 15 Lip Balm is formulated to provide 100% natural protection without an unsightly tradeoff. 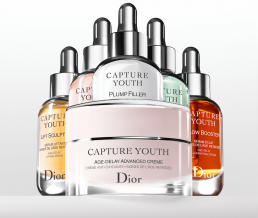 The result is all-weather protection and, superior moisturisation that your lips will love. 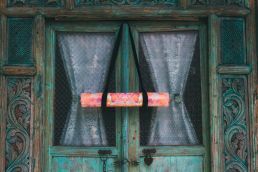 Yoga Design Lab launches it’s newest collection of eye-catching luxury yoga mats made from natural tree rubber and recycled plastic bottle microfibres. Just in time for holiday shoppers looking for that fashionable yogi gift! 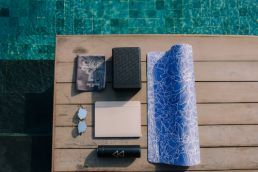 Described by Harper’s Bazaar and Vogue as ‘stunning works of art’, Yoga Design Lab is a young Bali based yoga brand that is shaking up the industry with sophisticated technology and uber-colorful designs. How is the Microfiber Made? 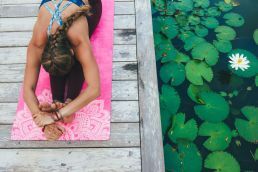 It is a total closed-loop supply chain, so you can be savasana-assured that your mat has been ethically sourced and manufactured with conscious awareness. Bales of plastic bottle wastes will be supplied by recycle collectors. Workers of the yarn manufacturer separate the colored bottles from the clear ones while every bottle, including the labels and caps, are inspected for foreign materials. The sorted PET bottles are then sterilized clean, dried and crushed into small chips so they are completely free of harmful foaming agents and plasticizers. The chips go through a heating process that allows them to pass through the spinneret until they end up being wound up like yarn threads in spools. The fibers are drawn into smooth strings, and then go through a crimping machine which will give the polyester yarns the fluffy wooly texture. The crimped polyester yarns is dried, baled and pass quality control before they are considered fit for selling. Blending fashion­-forward design elements with innovative functionality and bio­-renewable consciousness is key to the Yoga Design Lab approach. In 2014, Canadian surfer/yogi, Chad Turner, sold all of his belongings and moved to Bali with the idea to create beautiful yoga mats. The young brand produces visually stunning, eco­-friendly yoga products designed to inspire. 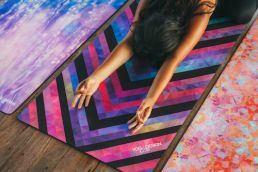 From insulated stainless steel water bottles, to yoga mats comprised of biodegradable natural tree rubber and recycled plastic bottle microfiber, to the water based inks used in the printed designs, we can all make a difference with the products we buy. Chiva-Som invites guests to lose weight and begin a journey towards a healthier lifestyle as they embark on a Sustainable Slimming Retreat at this benchmark resort destination for Thai health and wellness experiences. Guests will undertake a comprehensive and tailored program of physical activities to assist in losing weight in a controlled and healthy manner whilst Chiva-Som’s expert culinary team support the regime by creating nutrient rich cuisine and qualified physiotherapists guide guests towards correct posture and increased flexibility. Upon completion of this specialty retreat, guests will be equipped with the necessary tools, knowledge and a sense of empowerment to sustain optimal weight going forward. For bookings of the Chiva-Som Sustainable Slimming Retreat contact your travel agent or a Chiva-Som Specialist on 1300 857 437.